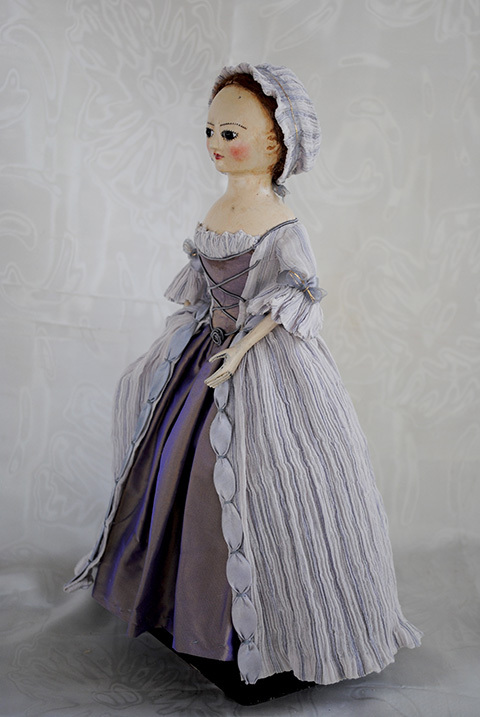 This is Jenny she is 10 inches tall she wears a sheer silk crape with fine purple stripe open robe gown with a purple silk petticoat, trimmed in a light purple satin on the cuffs and down the front of the dress. 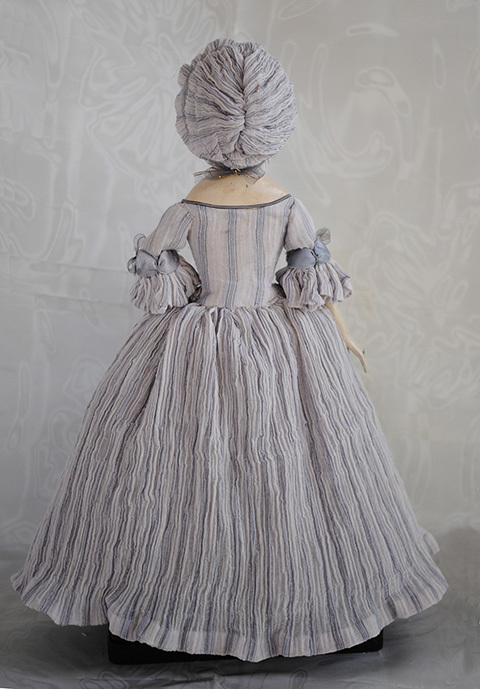 Her bonnet is made from the same fabric she also has shoes that match her petticoat. 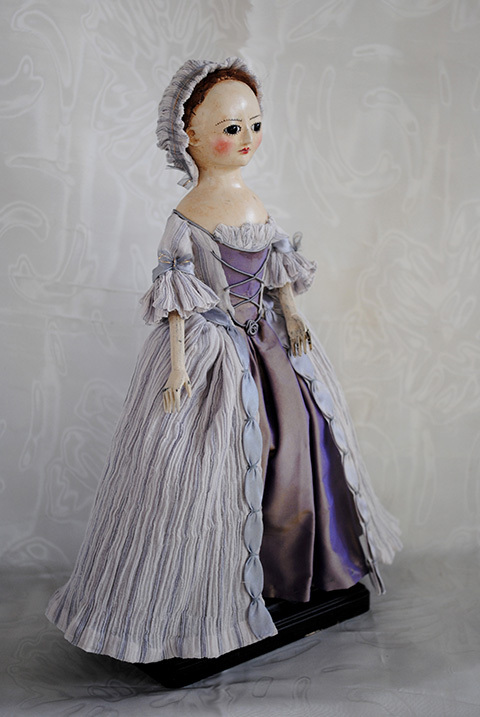 She is made as all my wooden dolls are completely by me. 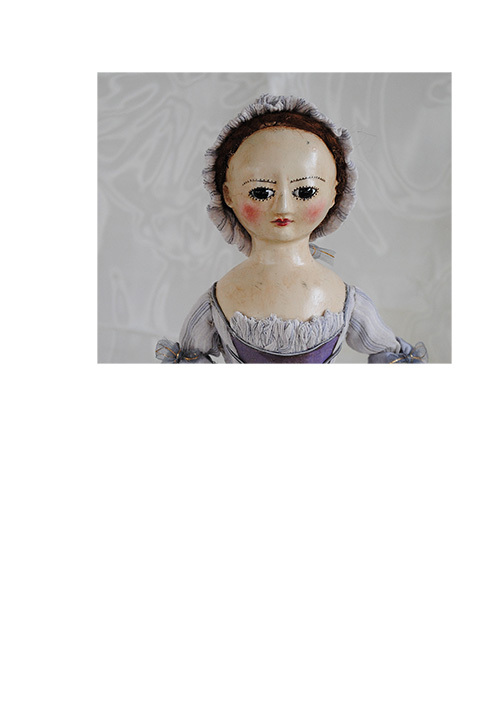 I enamel the eyes which are authentic to the original dolls. I hand carve the wooden hands and legs, which bend at the hips and knees. I turn the torso on a lathe and shape and finish the features. 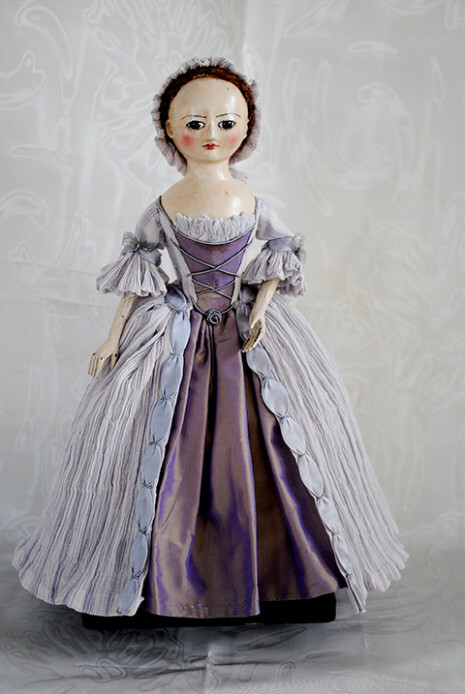 for more information on Jenny or any other dolls go to the home page click on the contact star and email or call me.